Click Brands for an alphabetical overview of all the typewriters in the virtual collection. Click the Timeline for a chronological overview of early typewriters from the 1870s to 1930. Click Keyboard typewriters to find all the different sorts of typewriters with keyboards. Click Index typewriters for a list of machines with index cards and pointers. 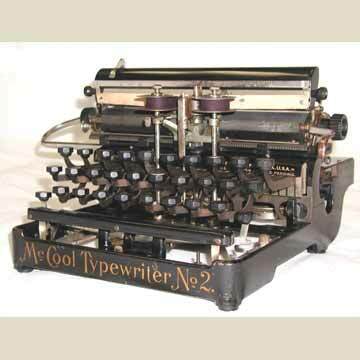 Click Related Collectables for an overview of items that are closely related to the typewriter. Check the Library for an extensive collection of historical photographs.